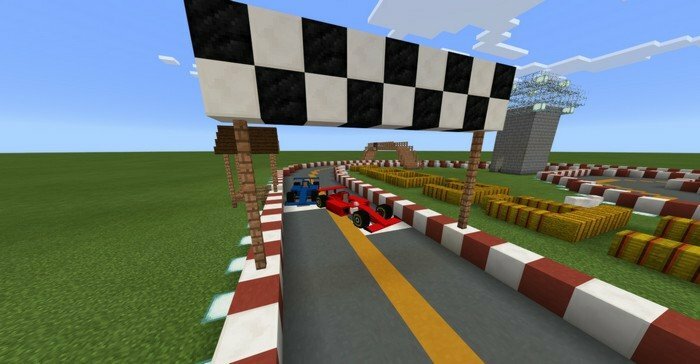 Race track is a place where you can compete with your friend on racing cars. A lot of car addons coming up recently, but there was no really good place to try them out. I present you my own map, where you can properly train your driving skills. It is not the biggest track you've probably seen, but it's only just the beginning, I'm planning to extend that track and add a few more, so you can switch between them. If you hit the border of the track, car will try to jump over it, there's nothing I can do to fix that. 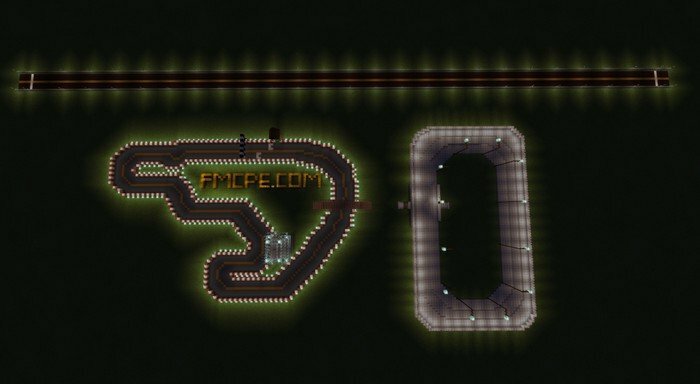 I placed a lot of lights across the track to make it playable even at night time. 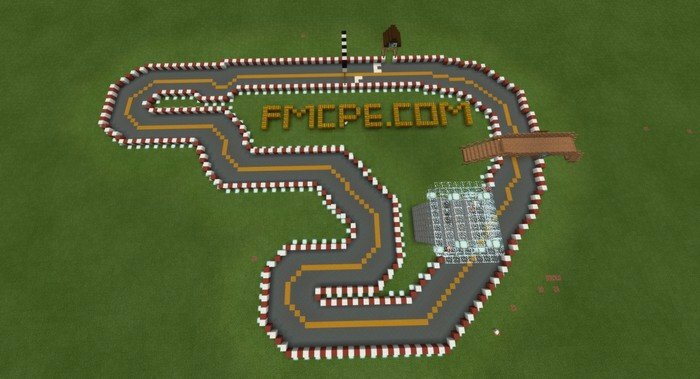 I've made a spectators tower, you can easily see every part of the track from there. 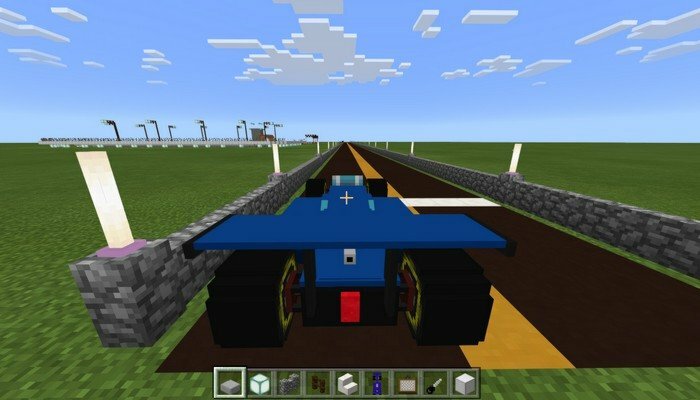 I've added to new tracks into the map for nascar and drag racing, hope you will like this small update. Reason: Added simple Monster Truck arena.